A bag, a bag, what's in a bag? A bag is pretty important and in my eyes they're worth investing serious dollar into, should you find your dream one. They're most definitely a high priority on my accessories list BUT more importantly it's what's in the bag that counts right? I mean that's effectively why we carry them around in the first place, is it not? To harbour all the items we just can't bare to be apart from, the kind of items that you just can't live without. The kind of bits and bobs that should you forget, you'd suddenly realise in a panic half way on your journey to work, immediately feel completely ill equipped for the day ahead and contemplate doing a U-turn all the way back home... We all have them and I decided I'd let you in on my little collection of "please never leave my side" items. Some old, some new, some practical, some...not so much... So without further a-do, lets delve into my beloved Orla Kiely bag of dreams and have a right good rummage at my top 10! Ok so first on my list is a really boring, obvious choice. It's something every girl should and will have in her bag, especially those of you with fringes (the struggle is real, I know). I didn't want to patronise you with a bottle of dry shampers BUT it is a product I can't live without and therefore it deserves a place on my bag list. My only issue with this stuff is I'm 100% certain it's addictive to use... I'm pretty sure my hair is 60% hair and 40% dry shampoo most of the time. Stay classy. Initially attracted by the name alone- cue various images of cute kitten paws- I'd struck lucky, as this stuff is in fact so much more than a super cute name! 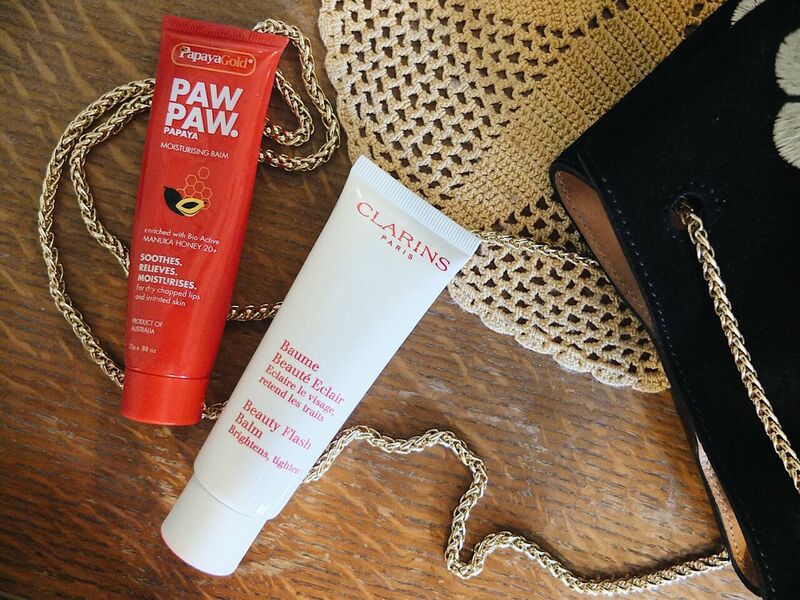 Paw Paw is less gloopy and "industrial strength" than Vaseline but more effective than EOS in my humble opinion. Made with papaya and manuka honey, it's 100% natural and keeps your lips oh so soft. Plus as nice as flavoured lip balm can be, they can also be a tad sickly and so with Paw Paw being scent free, it's great for layering up as much as you need to without flavour overload. At £6 a pop, it's definitely worth the investment and one tub will last you a far few months. 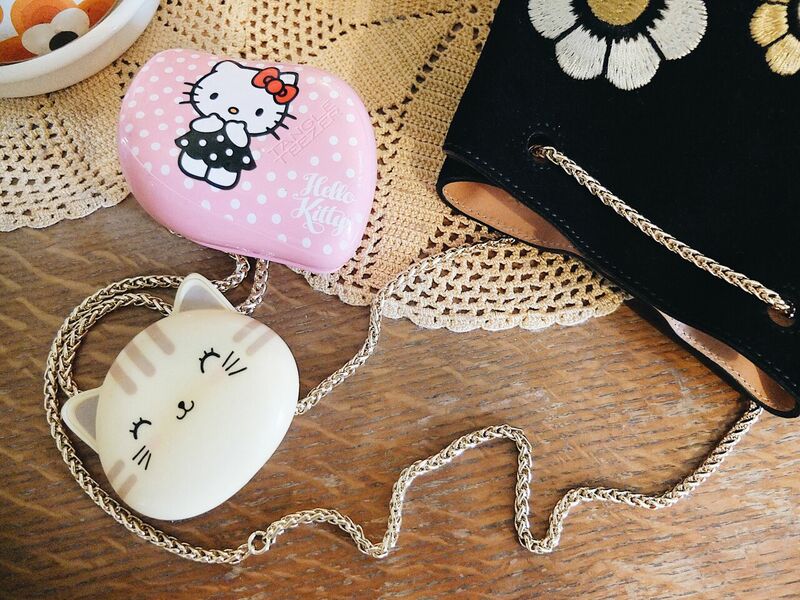 I thought we might as well get all Japanese/cat related items out the way in one go... Next on my list is this adorable Oh K Pocket Mirror. I absolutely love this brand and if like me, you like covering your stationary/beauty essentials with cute animals (I would just like to take this moments to remind you all I am 28 years old) than this is the brand for you too! Available in Paperchase and ASOS, they have a knack of turning all your handbag essentials into a much more fun, adorable version of their former selves. 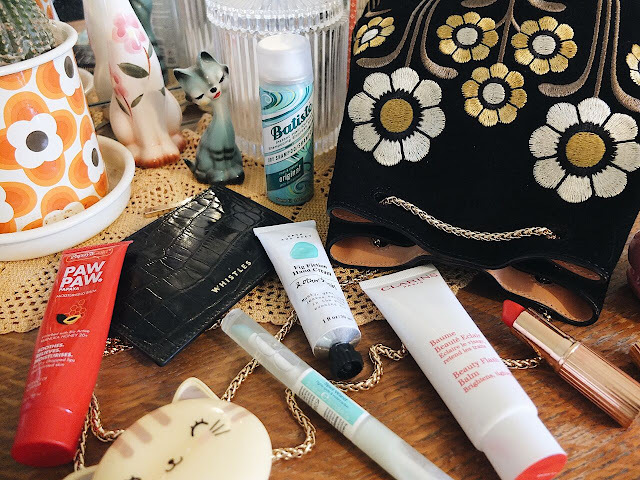 From tissues, to mirrors, to hand creams... Sweet little add on's to any handbag's must have list! Time to be a little more refined again now! My favourite lipstick of the moment "Tell Laura"! 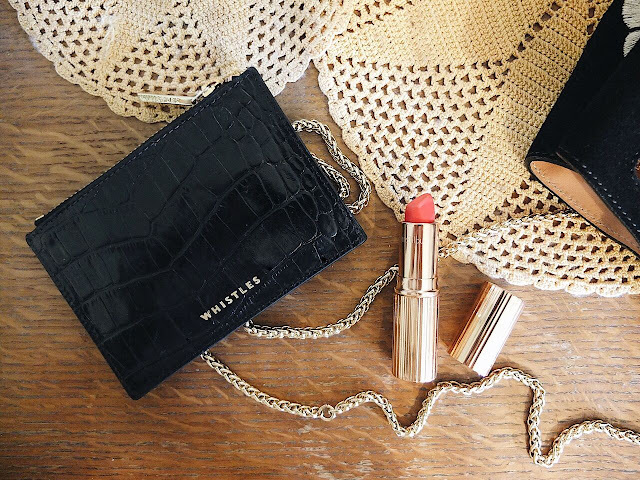 I've recently started a love affair with the colour red and this lipstick provides me with my daily fix. I've always loved red lips but have never been able to find the right shade/product for me. I was recommended Charlotte Tilbury and I've got to say, I'd never look back. It's a miracle lipstick; it doesn't bleed or smudge, it doesn't dry out on your lips and it stays put! To give you a rough idea of how amazing it is, I could probably apply it in the morning at say 8am and by 5pm it would still look perfectly acceptable, with no need for a top up and not a smudge in sight! Hallelujah! I used to carry around a great, big chunky brick of a purse, I found it took up unnecessary space in my bag and ended up filled with old receipted/ train tickets dating as far back as 2011. I recently bought a new day bag which is a touch smaller than my average and so the purse had to go. I absolutely love this little coin purse from Whistles, it's been bashed around in my bag and has managed to stay looking as good as new. Plus I'm no longer able to accidentally start at 10 year collection of Northern rail train tickets... Little purse, big investment! During the week I try to avoid as much make up on my face as possible. As spoken about previously on my blog, I do suffer from bad skin and I'd rather avoid adding unnecessary make up to the mix! Instead when my skin needs a little pick me up I use Beauty Balm, this is such a great product to keep in your make up bag. It acts as a moisturiser and a primer all in one and leaves your skins feeling a little more full of life. I tend to use this just before I start to apply my make up as an alternative to moisturiser or primer and it leaves your make up looking pretty damn fresh through out the day! My little miracle stick! I carry this around with me for when I feel a unwelcome spot appearing on my face. Simply apply the clear liquid to the affected area and it will get straight to work getting rid of it. I swear by this wand, so much so that I've mentioned it before to you! At the risk of repeating myself, it deserved a second mention! Last but by no means least, my phone cover! 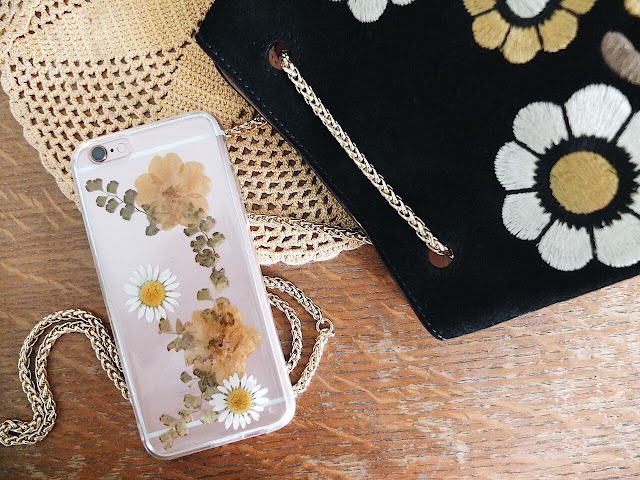 I'm obsessed with press flower cases at the moment and in particular I love this design from Tuppence. They're subtle, sweet and never look to garish. Plus they add a touch of summer to the inside of your bag and that surely can't be a bad thing. 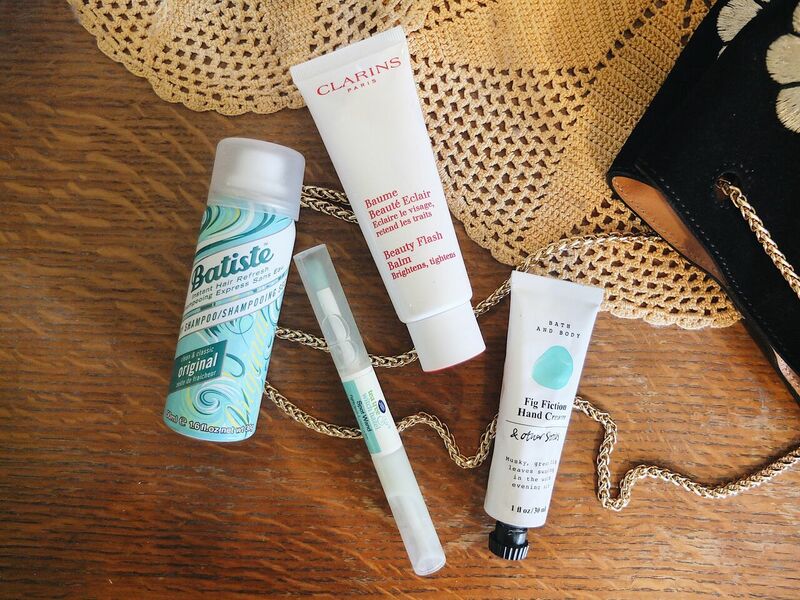 So there you have my top 10 items that I love so much I take them with me wherever I go! My little "life survival kit"! Click on the icons below to shop them all. Hit Me With Your Girl Boss.